Book directly with Dutchies Hostel: 10% discount & no booking fee! BOOK NOW! 10% discount & no booking fee! BOOK NOW! 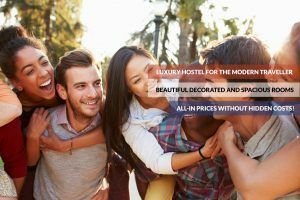 Booking with us directly ensures a 10% discount and no booking fee! Strictly Necessary Cookie should be enabled at all times so that we can save your preferences for cookie settings and so we can offer you the best experience on our website. By visiting our website several Google Cookies are added to your device. They enable the Google Maps function on our website. Google also adds cookies to your device so we can keep track of our website visitors and so we can optimize our advertising campaigns.